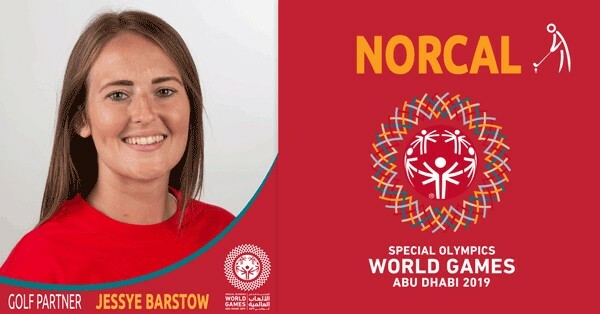 Jessye Barstow of Chico has been volunteering with Special Olympics since 2007 and will compete as a Special Olympics Unified Sports partner in golf at Special Olympics World Games Abu Dhabi 2019. She became involved with Special Olympics after developing a strong childhood friendship with a girl with disabilities, which sparked her interest in supporting the organization. Jessye has volunteered as a coach in basketball and softball and now coaches and serves as a Unified partner during the golf season. A graduate of California State University - Northridge, Jessye is an avid sports fan and enjoys traveling, fitness and the outdoors. She is married and has a dog (Torpedo) and a cat (Greg). 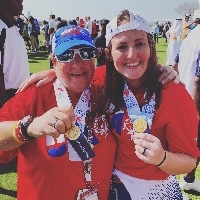 Jessye is excited to accompany Thea, a Unified athlete, to the World Games and experience the once-in-a-lifetime opportunity with her.